Chesterfield College Learning Resources Blog: New iSpace - Now Open! New iSpace - Now Open! Your new iSpace is now up and running and provides an environment for staff to develop new skills. 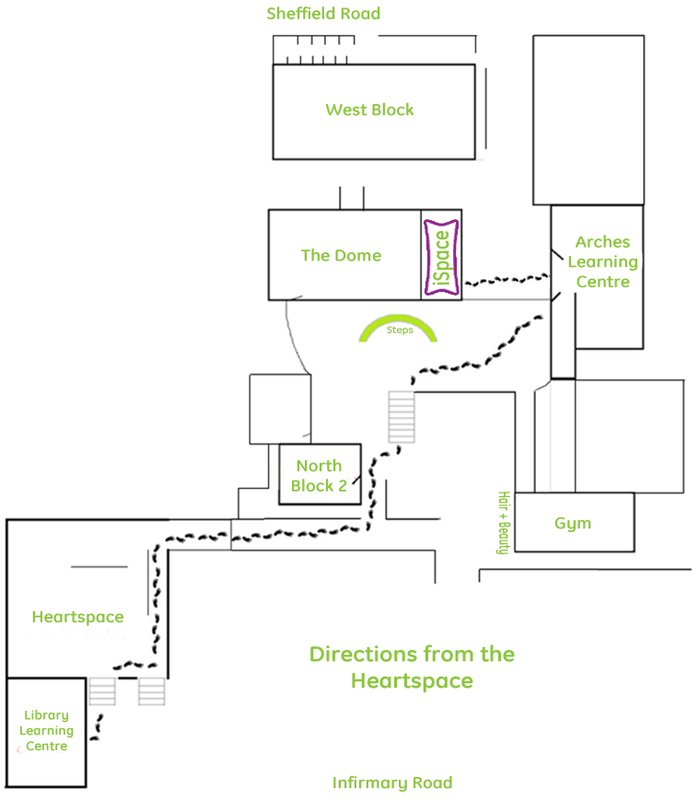 We're based in North Block, in N312, and we're open from 8.30am to 5pm every day. Support sessions and clinics will be running as before. To see what's available check the calendar. Some training sessions will only be available to the teams involved; others will be drop-in sessions open to everyone to provide access to support. Zone 1: This is the largest zone and can seat 8 people in total; 6 soft seats, 2 chairs & 2 stools. It has a large plasma touch screen and a further PC. Zone 2: This zone has 5 PCs and an iMac as well as a plasma touch screen. Zone 3: The smallest area can seat 6 and also has a plasma touchscreen. For further information on the technologies and the availability of assistance and zones please see the details on the iSpace VLE page.